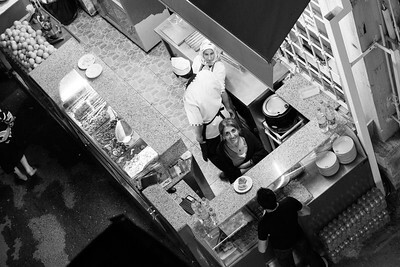 A woman glances up to see me glancing down on a cafe kitchen in the square next to the Blue Mosque, Istanbul. 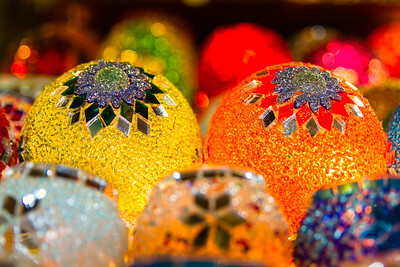 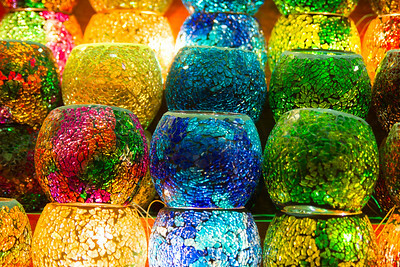 Textured glass baubles, lit from inside by small fairy lights, are stacked on the table of a market seller in the Grand Bazaar, Istanbul. 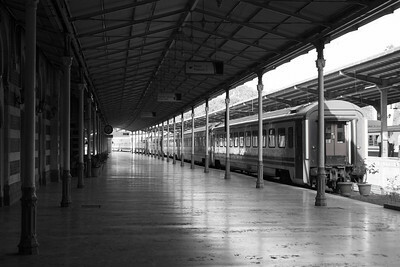 An empty train platform at the famous train station in Istanbul. Dazzling lights hang over the large floorspace inside the Blue Mosque, while intricate glasswork and ceiling decoration rise high into the building. 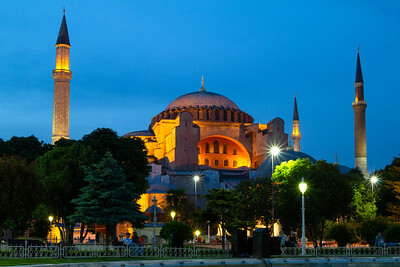 Twilight descends on Istanbul as the Blue Mosque at Sultanahmet is lit by floodlights. Taken beside the pond in the park in front of the mosque. 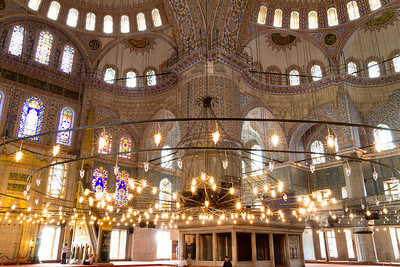 Inside the Blue Mosque, intricate glasswork and ceiling decoration rise high into the building. 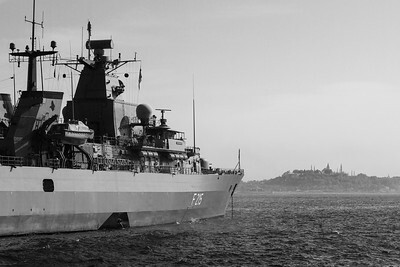 The pillars and pylons of the German Navy frigate FGS Brandenburg contrast with the minarets of the Blue Mosque, Istanbul. 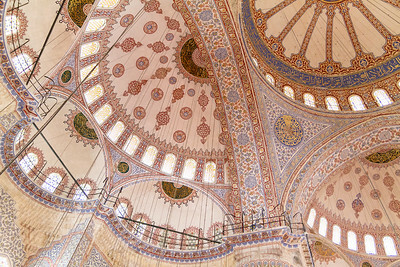 The Blue Mosque at Sultanahmet is lit from below as clouds encroach on Istanbul. 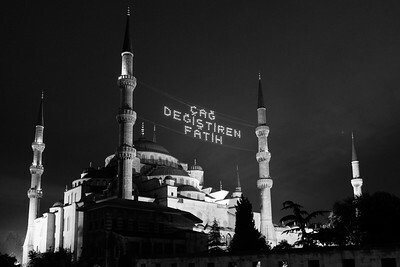 The sign strung between the minarets says 'çağ değiştiren fatih', which Google Translate believes to mean 'age changes the conqueror'. 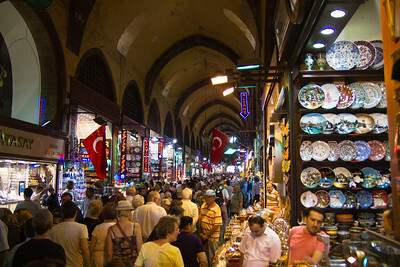 Crowds filter slowly through one of the many indoor streets of the Grand Bazaar, Istanbul. 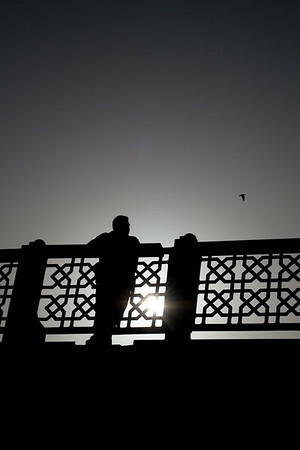 A man relaxes on a bridge crossing the Bosphorus, Turkey.